SNAFU! : F-35 troubles...focus on Loren Thompson's words, not my predictions! F-35 troubles...focus on Loren Thompson's words, not my predictions! 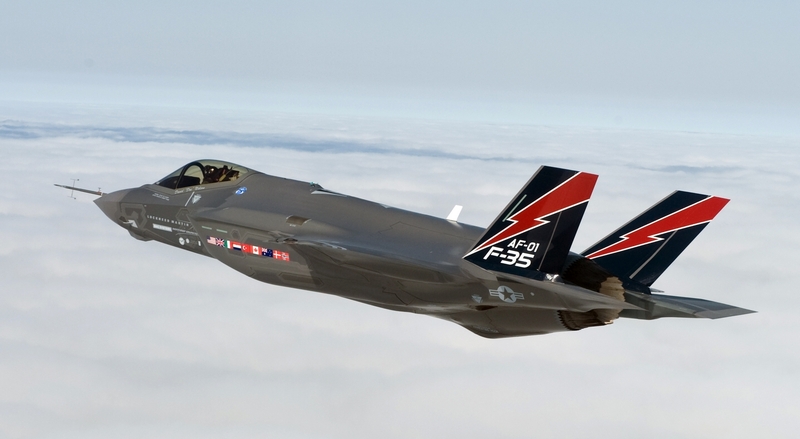 A couple of days ago I posted an article by Loren Thompson where he worried about the future of the F-35. The usual cast of suspects showed up and tried to portray his concerns as being recast .... in other words I altered the article to fit my prediction that the F-35 buy would be truncated and that it would result in a death spiral. * Ironically, the Joint Strike Fighter was, at its birth, the Clinton Administration's all-purpose pretext for not spending money on other weapons. The program was so ambitious that it is a miracle the fighter has succeeded to the degree it has. But now the same kind of loose thinking that so frequently infects military investment plans in peacetime threatens to derail the one aircraft that can assure U.S. global air dominance through mid-century. And the place where that loose thinking is most out of control is the U.S. Air Force. That's right boys and girls. Thompson is telling anyone that reads this article that he believes the USAF is getting ready to search for a plan B to the F-35! Of course he lavishes praise on the plane. He says that it can assure global air dominance, but at the sametime says that the idea to move on from it ... to the point of being out of control is the USAF! That is a HUGE change! * Because the Air Force version accounts for 72% of the joint buy, and because its "A" variant is the one that most allies want, investment choices that Air Force leaders make over the next dozen or so years will decide whether the F-35 achieves the role originally envisioned for it in revitalizing U.S. air power. If the Air Force scales back its current plan to buy 1,763 F-35s, that will have profoundly negative consequences for other military services, allies and overall U.S. security. That's an over the top statement but the warning is clear...at least from a Lockheed Martin, F-35 fanboy perspective. Thompson is scared shitless that the planned buy of 1700 plus F-35's will be scaled back. I'm not the one shouting about the death spiral...a paid consultant of Lockheed Martin is sounding the alarm! * The biggest idea captivating Air Force leaders is that "near peer" adversaries, meaning Russia and China, are catching up with U.S. warfighting technology and may soon surpass it. The service stated in its Air Superiority 2030 Flight Plan that "the Air Force's projected force structure in 2030 is not capable of fighting and winning" against the "array of potential adversary capabilities" it will likely face. You might infer therefrom that the service needs to buy stealthy, networked F-35s faster, but its flight plan highlights other items. For instance it wants a "penetrating counterair" capability -- maybe a plane, maybe a family of systems -- that can operate within Russian and Chinese air space circa 2030. That would enable it to protect the Air Force’s next-generation bomber in attacks on the most densely-defended targets, or conduct search-and-destroy missions against time-sensitive targets. Obviously, this would require greater endurance than traditional fighters. It also wants unmanned strike and reconnaissance aircraft that can survive in contested airspace, perhaps directed by pilots in penetrating planes. In addition, it wants all of its warfighting assets linked by a robust network so that each operator can benefit from the reconnaissance and kill capabilities of all the others, and any attrition of assets can be covered via redundancy in the system. And these assets would not be confined to air-breathing platforms -- the network would stretch across multiple warfighting "domains," including space and the electromagnetic spectrum. Electronic and cyber warfare would be ubiquitous in the high-end battlespace it envisions. Meanwhile, at the low end of counter-terror and counter-insurgency operations, the service wants to acquire planes less costly than the F-35, perhaps turboprops rather than jets, that can deal with enemies who lack their own air forces or air defenses. So F-35 potentially ends up in a squeeze play between the lower-cost systems envisioned for addressing irregular threats and the higher-capability systems needed to address future near-peer competitors. Add in all the other stuff needed for space resilience, mobility, training and so on, and the F-35 program of record starts to look shaky. Sorry for the long passage but this is the juiciest tidbit of all! This is the part where Thompson raises the skirt on his favorite airplane and at the same time gives us a sneak peek behind REAL DEAL SIMULATIONS that the USAF is running. Because according to Thompson's own writings the F-35 is not good enough in a peer conflict and is much too expensive in low end warfare. He verifies what many have said. The F-35 was born to fight a fight that no longer exists, it took too long to get into service and its already obsolete. Thompson is worried that USAF leadership will drop the fiction and develop a new fighter because it knows that the F-35 won't be competitive in a future fight. If this pisses you off, save the drama for Thompson. I'm popping passages from an article he wrote. I don't believe that I'm reading him wrong here. He's connected and he obviously believes that the USAF is about to bail. Quite honestly it makes sense too. Remember Mattis saying that the services had two years to get its act together cause the gravy train would be over and sequestration would return? 2019 is it. If they don't have it by then then we'll see some tough choices being made. The F-35 is gonna be cut. They took too long, played too many games and now its time to pay the piper. How do we know? Thompson told us so!